Give wellness to those you love more! A precious gift, a unique and unforgettable experience to devote to your loved ones. Choose between wellness programs, face and body treatments, massages, couple rituals and much more to give as gifts. 45 ° -55 ° and humidity 45%, steam bath at 48 ° with humidity 100%, sauna 90 ° - humidity0%, to be alternated with aromatic emotional showers, cold mist and ice cascade. Complete the cycle the heated pool at 34 ° with cervical blades and whirlpools at different heights. Inside the changing rooms you will find the SPA kit consisting of a soft bathrobe, towel and flip-flops. Entrance to the Acqua di Naboo route: during the course Acqua di Naboo a single-portion kit will be provided for use in the steam bath consisting of alum, honey and royal jelly for a soft and luminous skin, black soap based on olive paste enriched with Eucalyptus to purify and oxygenate the skin, and finally the spectacular Turkish foam based on Aleppo soap to cleanse and nourish. Inside the changing rooms you will find the SPA kit consisting of a soft bathrobe, towel and flip-flops. For a total regeneration during the Naboo Water Path the "sauna master" will accompany you along a sensory path between self-scrubs in a Turkish bath, ice, emotional showers, to conclude with the Aufguss, sauna ventilation ritual. Inside the changing rooms you will find the SPA kit consisting of a soft bathrobe, towel and flip-flops. Following the Water Path of Naboo a relaxing, regenerating and aromatherapy total body massage with warm oil and essential oils. An authentic beauty ritual for hands and feet, nourishing and relaxing with: rose buds, alum stone gum, sesame mask and a wrapping shea butter massage. To finish manicure and pedicure with enamel application. 2-hour Naboo Water course. THALASSO facial treatment with "hand mask in the clouds" for an extraordinary sensation of freshness and relaxation. Entrance to the Acqua di Naboo route. Following the Spa path, a relaxing foot massage with foot bath in essential oils for him and a soothing and nourishing Soin Cocon face treatment, designed by Maria Galland for her. A private suite dedicated to you for couples massage, with private whirlpool and fouton for ultimate relaxation. Before entering the suite the ritual opens with 10 minutes of relaxation on the "Cribs" heated water beds to prepare for the massage. You will then be escorted to the Suite where a fragrant 50-minute massage awaits you, dissolving the tensions, giving tone and vigor to the body. We continue with a bath in our private hydromassage with chromotherapy. You can then relax on the fouton at the end of the treatment. The Acqua di Naboo route is also available. 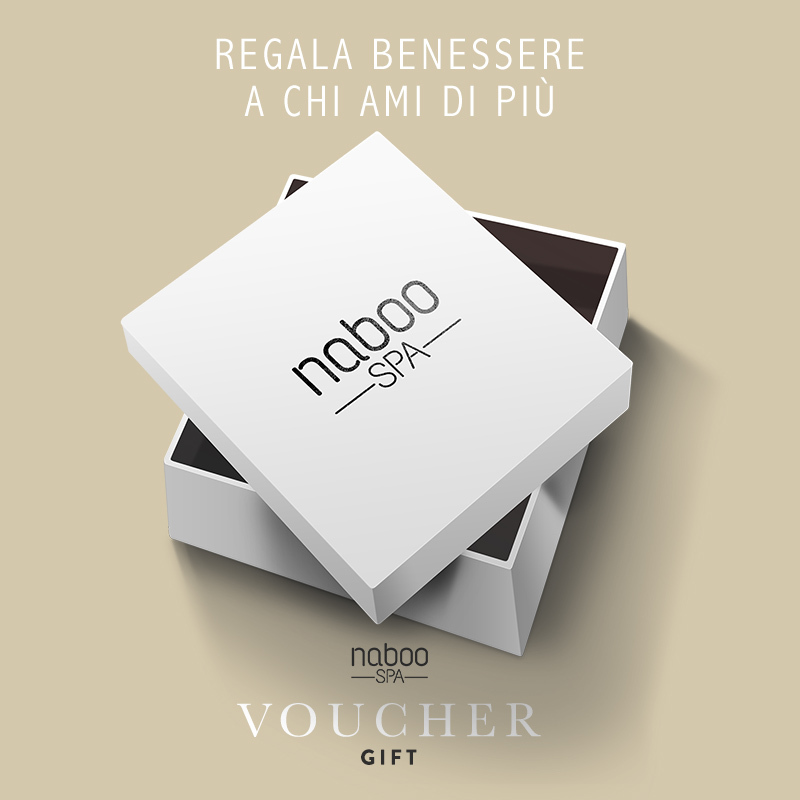 Romantic couple ritual in private SPA suite "NUVOLA DI NABOO": with a savonage with Black Soap, there is an ancient oriental treatment of wellbeing for the body, performed on a special heated bed. Thanks to the "kassa glove" and the steam bath a deep purification and regeneration of the skin is exerted, with final oleation. At the end of the treatment you can taste tisane and tea on the fouton of the SPA suite and a fruit cocktail. Access to the Naboo Water Route (duration 2 hours) *. SPA KIT consisting of a soft bathrobe, towel and slippers. Offers valid on hotel availability, to be prepaid to confirmation. Can not be combined with other ongoing and non-refundable promotions. The times of the SPA services will be verified at the time of booking.